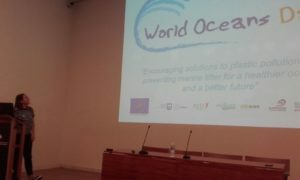 Presentation of Life LEMA in the World Oceans Day. 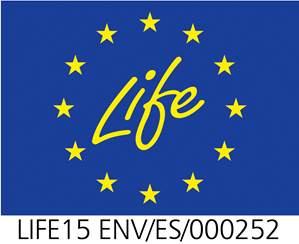 Surfrider Spain presented the LIFE LEMA project in the meeting about marine litter held on the occasion of the World Oceans Day celebrated on June 8. This year’s slogan has been “Healthy Oceans, a Healthy Planet”. This celebration has been held since 2009 and has been established by the United Nations with the main objective of raising awareness of the need to protect and preserve the oceans. On the occasion of this celebration, and for the third consecutive edition, the meeting focused on the problem of marine litter. After six specific conferences, as closing session, speakers and assistants to the seminar exchanged opinions in a round table on the impact of marine litter on the oceans. Round table on the impact of marine litter on the oceans. 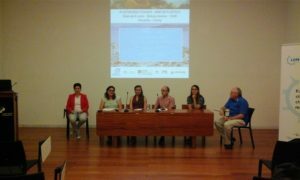 The seminar was coordinated by Surfrider Spain, the Official School of Biologists of Euskadi, Ekoetxea Urdaibai and the University of the Basque Country (EHU-UPV) and it was held in Bizkaia Aretoa (Parainfo of the University of the Basque Country).